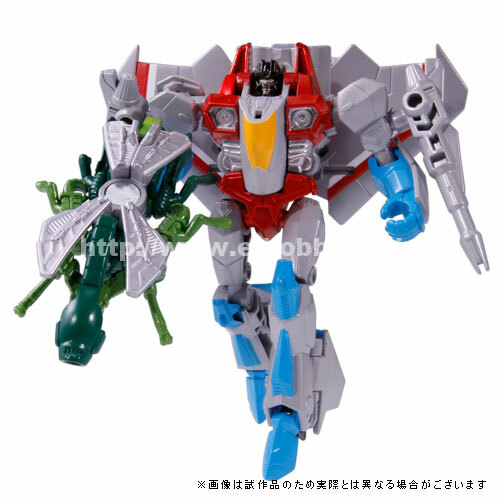 E-Hobby have updated their preorder page for the Japanese Generations TG-29 Megatron and Starscream Legends set with official pictures of the figures. The Japanese release of these Legends class toys gives Megatron a Generation 1 inspired deco rather than the IDW inspired deco of the US version. 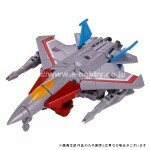 Starscream features a shinier deco and nul-ray blasters matched to the main figure’s colors. Chop Shop is a darker shade looking more brown like the original Generation 1 toy, and Waspinator likewise has a modified deco with a more muted, shiny green on his body and a darker green on his arms. Check out the images attached to this news post. 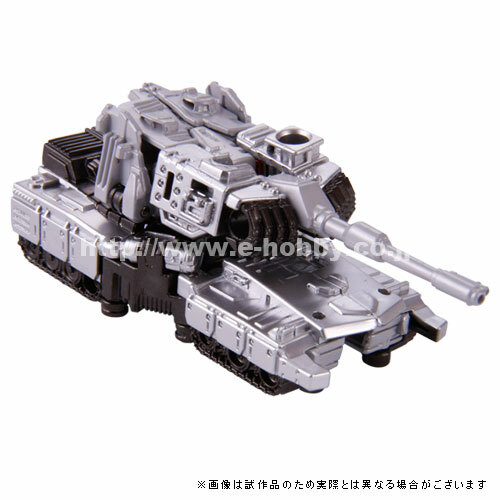 Both Takara and Hasbro versions have their pluses and minuses, Megatron looks pretty niftykins in robot mode, but a shiny silver tank gives me the weirds. 3) had a silver chest. 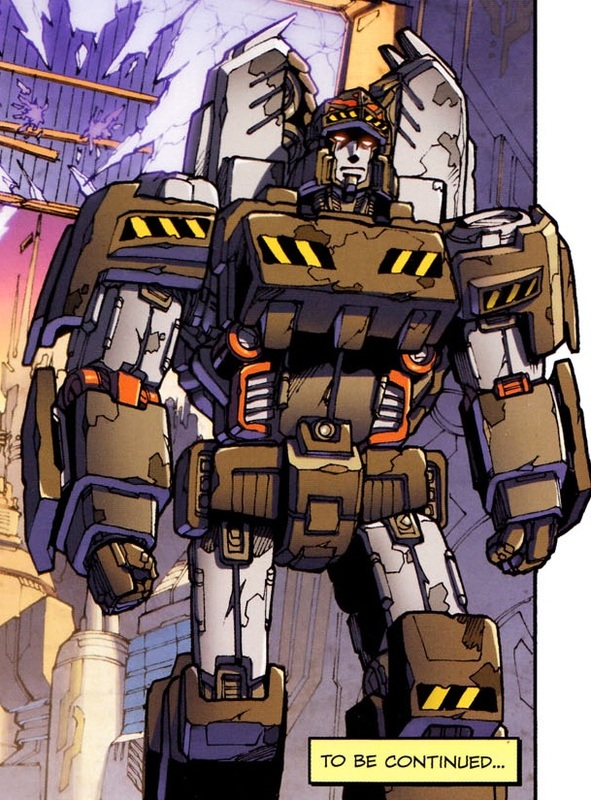 This is an old post, but Megatron does have a dark grey chest (and helmet) with with hazard stripes in Megatron Origin #1, but he gets rid of it after losing his mining job and the riot. I love the black around the eyes, does wonders. OK… Right off the bat, you're wrong about his colours. Megatron was dark grey when he was a miner, the same as the Hasbro version, with light grey limbs. Whilst he didn't have his fusion cannon, he did turn into a cannon-less tank, but regardless, all the Generations toys thus far based on Cybertronian designs have been given Earth alt modes that keep the kibble layout of the comc version (Trailcutter, Bumblebee, Megatron, Tailgate and Swerve). Megs' IDW Cybertronian tank mode has both had the miner stripes and the more traditional deco, so they're both legitimate. I'm excited to get both honestly. Never expected the Generations Legends Megatron is so detailed. This guy didn't come out TOO long ago. He has awesome articulation for a legends class figure. I'd love to see it get remade into the new legends scale, with maybe some improvements for hiding his robot parts a little better in alt mode. Oh I know about this figure, that's why I stressed on the fusion canon. If he had the normal black fusion canon, I would have bought him and not get another Megs. IMO the classic must have elements for Megatron are the helmet head and the fusion canon. I concur! 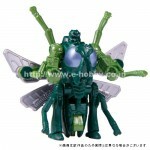 If he and Orion were voyagers, I would have per-ordered them. He now looks like the Infiltration Megatron. I think i might consider picking the Megatron up if i can. Japanese fans probably don't know much about the IDW universe either. And for some reason they're still getting a bunch of comic accurate figures. 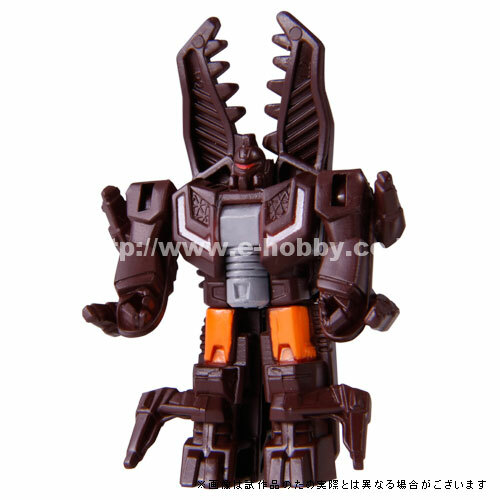 Even back in the United days for whatever reason they got Straxus and Thunderwing, both characters who were basically only existant in US comics instead of their retools Black Shadow and Skullgrin, which had prominent roles in Japanese cartoons. I guess the lesson to draw from all of this is that either they're (TakaraTomy) inconsistent, OR that there is a market for non-Japanese characters over there. Fans in the states have been clamoring for figures of Overlord, Star Saber, etc. for years now, and up until recently those characters had never appeared in American media. So isn't it possible that Japanese fans can want toys of American figures too? As of now it's just Prime/BH but, it would be foolish if they didn't take advantage of all their quality Commander/Legends. I like this paintjob more. The miner paintjob did not even make sense, because this is an earth alt mode. 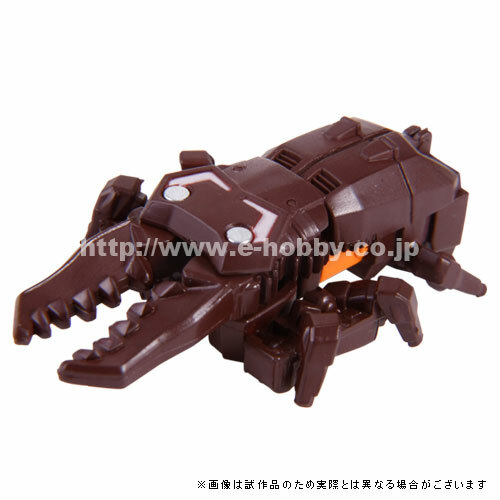 Hasbro announced at Botcon that they will be making easy to transform figures for 2014. They are (more or less) legion and commander class figures upscaled to deluxe and Voyager. Legion leave a lot to be desired but, the upscaled commanders/Legenda have potential (in my opinion). 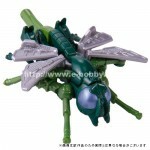 Alot of the commander/Legend stuff has been really great and could be translated into good Voyagers. I have the miner Megs and I'm still going to pick this version up. 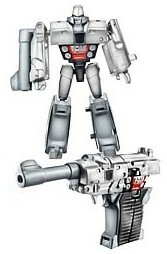 I don't think we will ever see a decent G1 styled Legends Megs with his 'fusion canon' – this is the closest we will ever get to a 'traditional' Megatron. I hope one day Hasbro makes me eat my words but I doubt it. 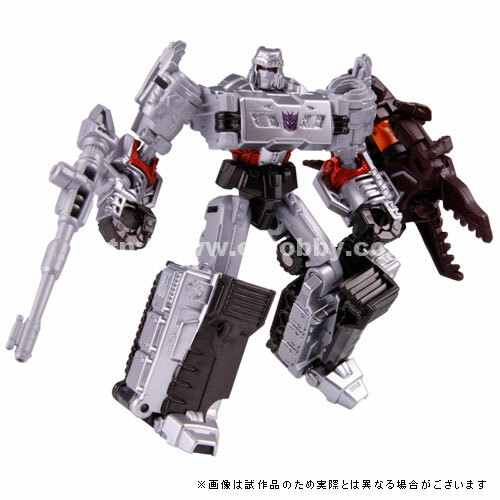 It's been years and the closest we have to a G1 Megatron is the Nerf version. Looks like Takara us my only hope for an official G1 Megs.